Gaga This Way. 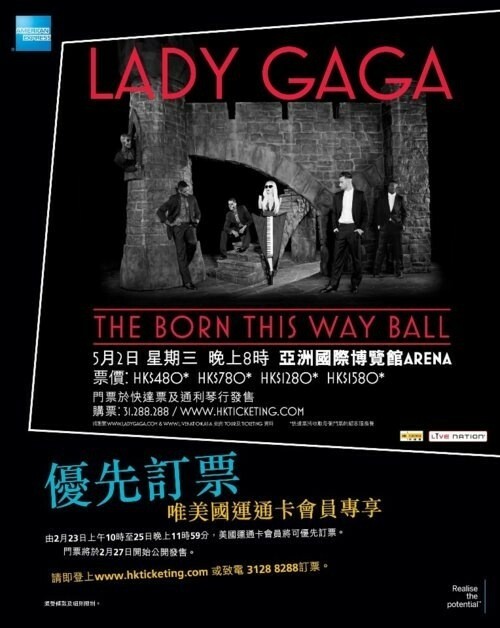 : Cartel promocional del Born This Way Ball Tour en Hong Kong. Cartel promocional del Born This Way Ball Tour en Hong Kong.